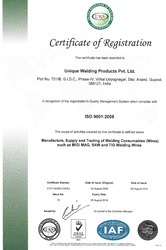 "Unique Welding Products Pvt. Ltd." is one of the leading manufacturers, Importer and exporters of MIG and CO2 Welding Wire, Submerged Arc Welding Wire, TIG Welding Wire, Flux Cored Arc Welding Wire etc. 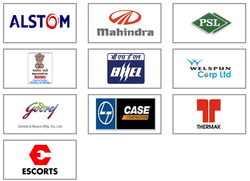 With its operations started in 1990, the company has managed to gain a premier position in the top vendor list of leading automobile manufacturers/ ancillaries, engineering industry, and various railway Organizations. The company is situated in an industrial town, Vitthal Udyognagar, strategically located between two major cities of Ahmedabad & Vadodara. It is well connected by Road, Railways, and Airports. The nearest port (Mumbai) is about 500 km. 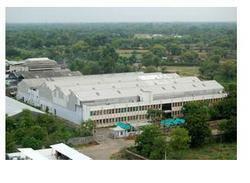 The company is built up on an area of 10,000 sqm and is capable of producing 12000 MT of Welding wire per annum. Its manufacturing unit is well equipped with in-house Physical and Chemical Laboratories. All incoming raw material is tested 100% before being released for production. Unique Welding Products Pvt. Ltd. is managed by Technically Qualified Engineers who have over 35 years of experience in manufacturing of Welding Wires and are assisted by a team of Qualified Professionals in Production and Quality Assurance departments.